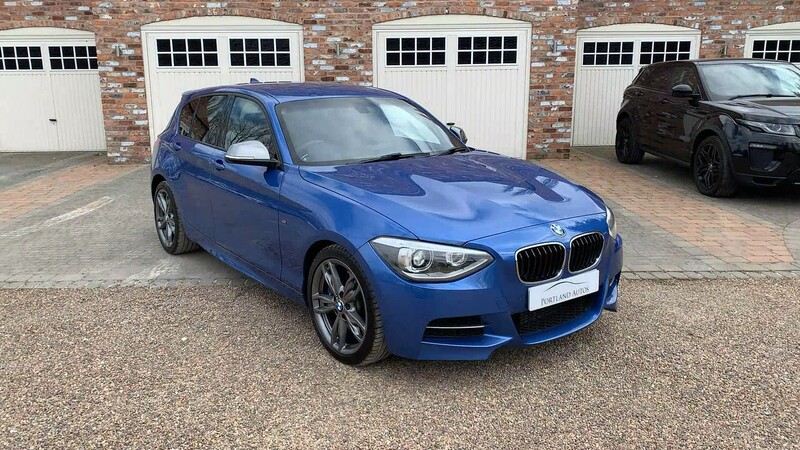 2014 64 BMW 135I 3.0 AUTOMATIC 5 DOOR IN ESTORIL BLUE METALLIC WITH BLACK DAKOTA LEATHER INTERIOR. THIS CAR IS JUST TWO OWNERS FROM NEW AND COMES WITH A FULL BMW MAIN DEALER SERVICE HISTORY. SPECIFICATION INCLUDES TITANIUM BMW M PERFORMANCE EXHAUST, PROFESSIONAL MEDIA PACKAGE, WIDESCREEN SATELITTE NAVIGATION, DRIVER COMFORT PACKAGE, HARMAN KARDON SOUND SYSTEM, HEATED FRONT SEATS, FRONT AND REAR PARKING SENSORS, CRUISE CONTROL, DUAL ZONE CLIMATE CONTROL, MULTI FUNCTION LEATHER M SPORT STEERING WHEEL, 18 INCH 5 DOUBLE SPOKE ALLOYS IN FERRIC GREY, XENON HEADLIGHTS, DAB DIGITAL RADIO, MUSIC COLLECTION, DUAL ZONE CLIMATE CONTROL, ALUMINIUM HEXAGON TRIM WITH BLUE HIGHLIGHT. SERVOCONG ON THIS CAR HAS BEEN CARRIED OUT AT 15K, 18K AND 33K. 2xKEYS, HPI CLEAR, FINANCE AVAILABLE, PART EXCHANGE WELCOME, TO VIEW UP TO 40 HD PHOTOS AND A HD VIDEO OF THIS VEHICLE PLEASE VISIT OUR WEBSITE.